The wonder of it all is that the Africa you imagine does in fact exist. In so many ways, Africa is just as you’d always dreamed it would be. It’s a place with vast herds of elephants and antelope, where lions roam the plains, and cheetahs chase down their prey with spectacular speed. 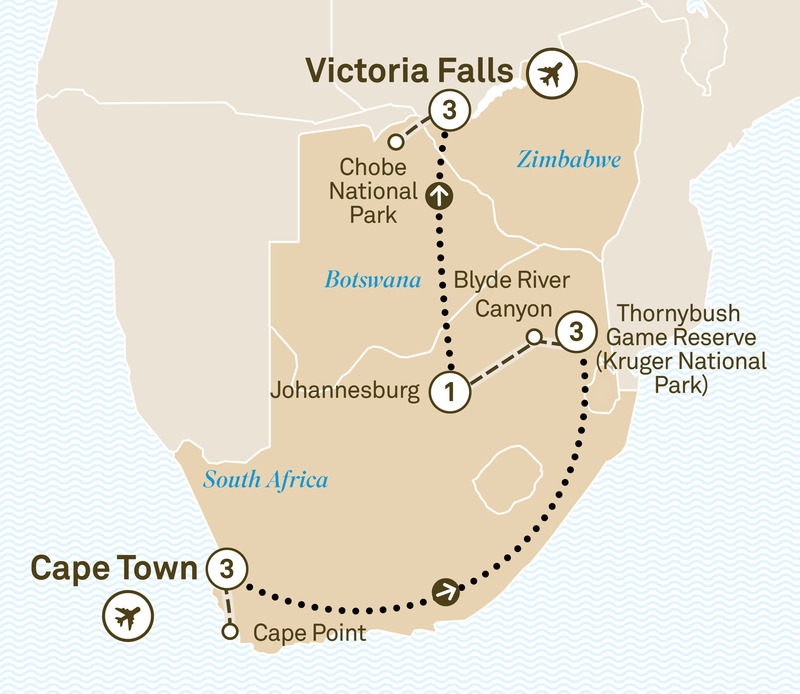 It’s a place with many monumental wonders, Cape Town’s Table Mountain, and Zimbabwe’s Victoria Falls, to pick out just two. And best of all, it’s not only accessible, it’s available right here in one complete, convenient and wondrous journey. Depart today and transfer to Victoria Falls airport after breakfast. From the lush grasslands of Kenya to the world-famous Masai Mara,this East African adventure includes splendours such as Victoria Falls & Mount Kilimanjaro.